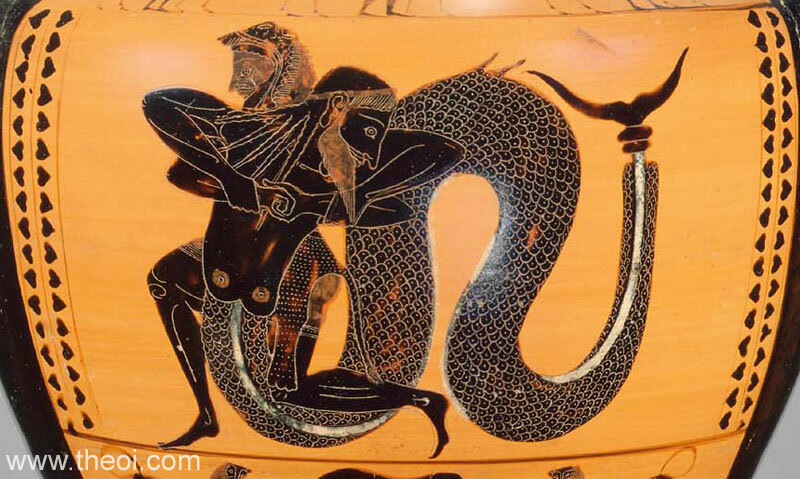 Heracles wrestles the fish-tailed god Triton. The aquatic deity has the head, arms and chest of a man and the serpentine tail of fish. The hero is cloaked in a lion-skin cape. The god could also be Nereus, the old man of the sea, who the hero wrestled in myth, although the elder deity is usually clothed in a chiton.